David Copperfield is a legendary showman who's been hailed by audiences and critics alike as the "greatest illusionist of our time." 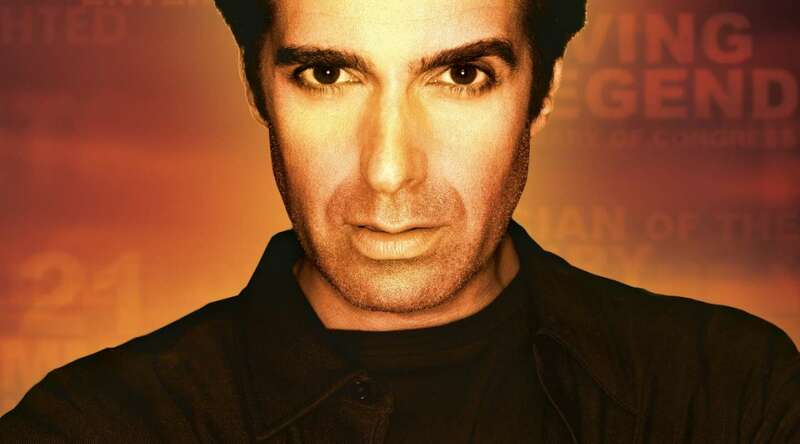 In addition to decades of television events, worldwide tours and a critically acclaimed Broadway show, Copperfield continues to confound and delight audiences with his unbelievable illusions and charming stories. Experiencing a Copperfield show is proof that "magic is as vast as the imagination." "The Greatest Illusionist of Our Time." "Our Era's Giant of Magic!" "Copperfield's Spectacular Illusion And Artistry, Will Leave You Gaping In Unabashed Amazement." 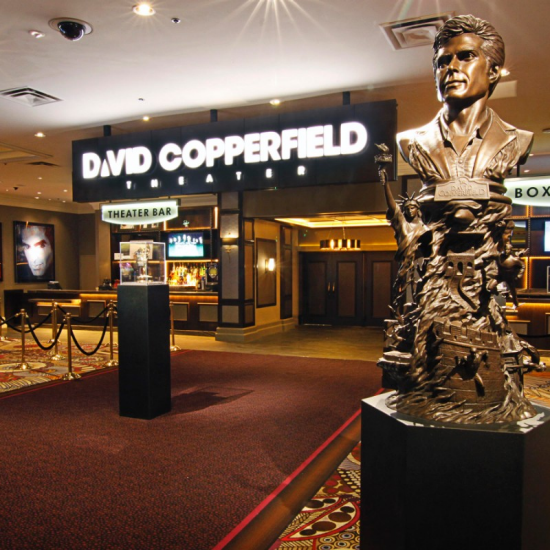 The David Copperfield Meet & Greet experience includes front row seats, a meet & greet with David himself, a photo with you and David (wallet size, additional photo sizes are available for purchase) an autographed 8x10 headshot and an extra magical experience just for you! From the front desk, start walking through the casino floor and take a left toward Whiskey Down. Continue walking left past the M life Desk and the Theater will be on your left. From the Las Vegas Strip, walk toward Hakkasan and TAP Sports Bar. Continue walking straight through the casino floor past the Poker Room and Cashier. The theater will be on your right. For group reservations of 12 or more, please call MGM Resorts Social Occasions at 855-554-5004 or email socialgroups@mgmresorts.com. Children under the age of 5 are not permitted into the David Copperfield Theater. Guests under the age of 18 must be accompanied by an adult. Weapons, Firearms, Pepper Spray, Pocket Knives or Mace. Smoking including vape devices and electronic cigarettes. Cameras with interchangeable/detachable lens or external flash. Patrons without shoes or shirt. Disorderly conduct at any time will not be permitted within this venue. Strobe lights and atmosphere effects may be used during today’s event. Welcome to the only place in Vegas to catch Brad Garrett live along with some of the hottest names in stand-up - from established stars to the funniest up-and-comers.